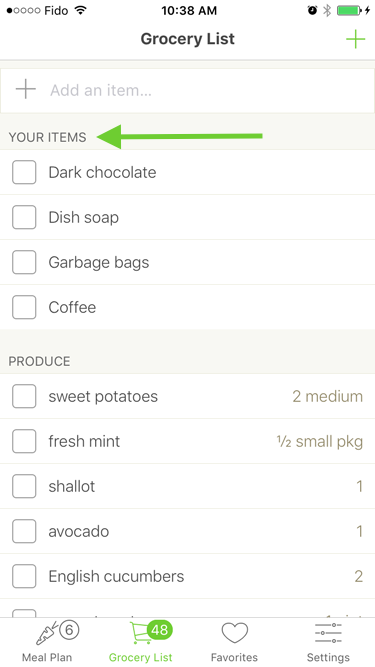 If you'd like to add personal items to your grocery list so you only need one list when heading to the store, this article will help you! 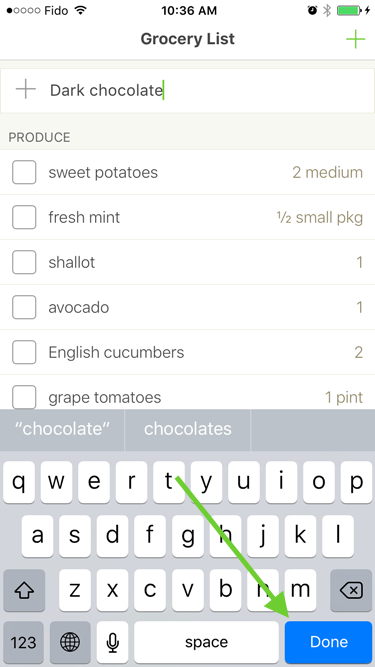 Open the Mealime app on your mobile device, and tap the 'Grocery List' icon at the bottom of the screen. 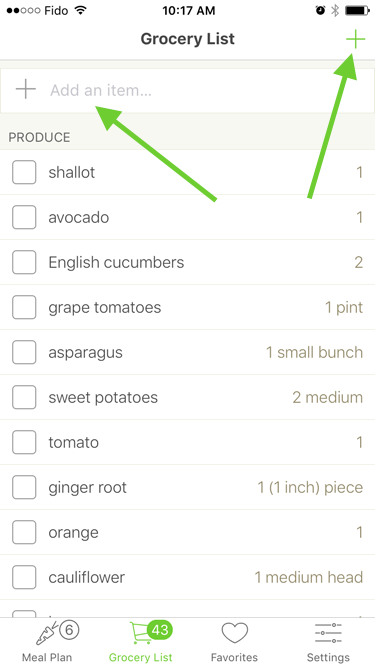 Once there, tap on the green + sign in the upper right-hand corner of the grocery list, or the field + Add an item... and enter the item you'd like to add. Enter your item and tap Done in the lower right-hand corner of the keyboard. Your items will now be added to a new category labelled "Your Items." Feel free to add as many as you like! 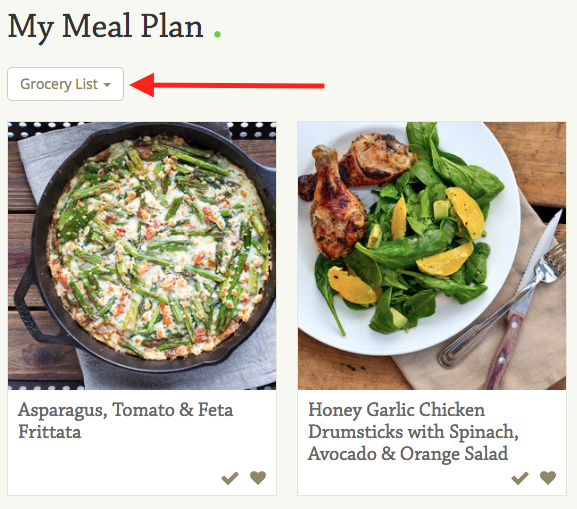 Adding your own items will also update the number of pending items that show up on top of the grocery list icon. You can also modify and categorize your items here. 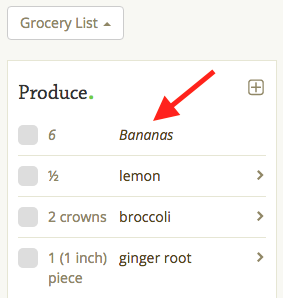 Click the + sign in the upper right hand corner of the grocery list and add your item. 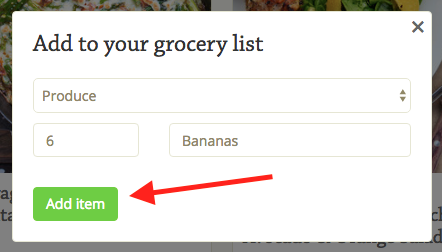 In the web app, you can also select the category and amount of the item you wish to add. Click Add item when you're finished. The new item will be added to the list in the category you place it in and will also be italicized, so you know it is your own item.